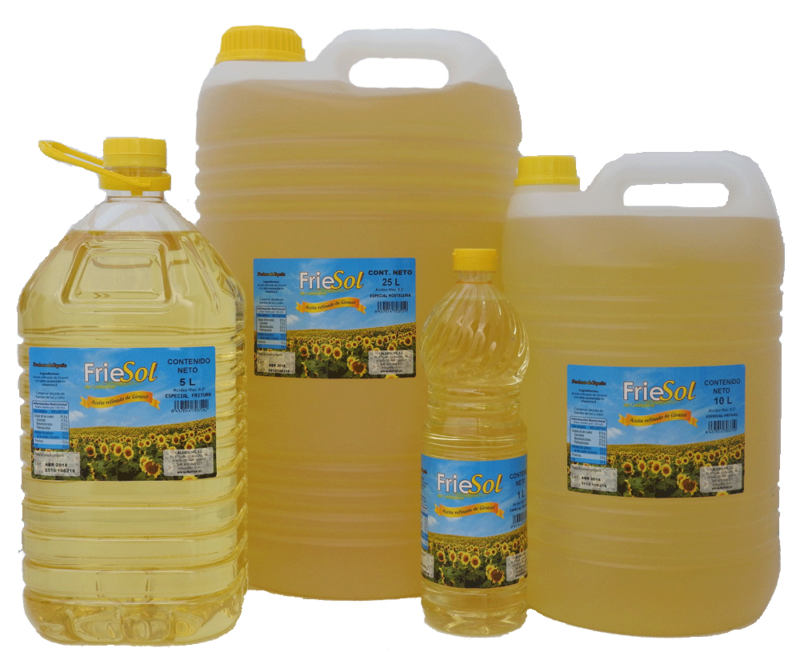 Classic sunflower oil and high oleic in formats of 1 and 5 liters are ideal for the family unit for its easy handling and formats of 10 and 25 liters are special for professional use. Specially designed for the kitchen of the individual and the professional as well as for pastry makers since it does not bring flavor or smell. In fryer gives a high performance by its stability to the high temperatures reducing the formation of foam thanks to the added antifoam that presents. It is the most widely used seed oil in Spain, rich in vitamin E and Linoleic acid. It is obtained by refining sunflower oil, with free acidity, expressed as oleic acid, at most 0,2 g per 100 g. The result is a smooth and balanced oil, suitable for all types of frying, sauces and baking. Its characteristics are in accordance with those established for this type of oil by the current Spanish regulations. It is an allergen-free product that does not come from OMG. It is obtained from sunflower seeds with a high content of oleic acid. 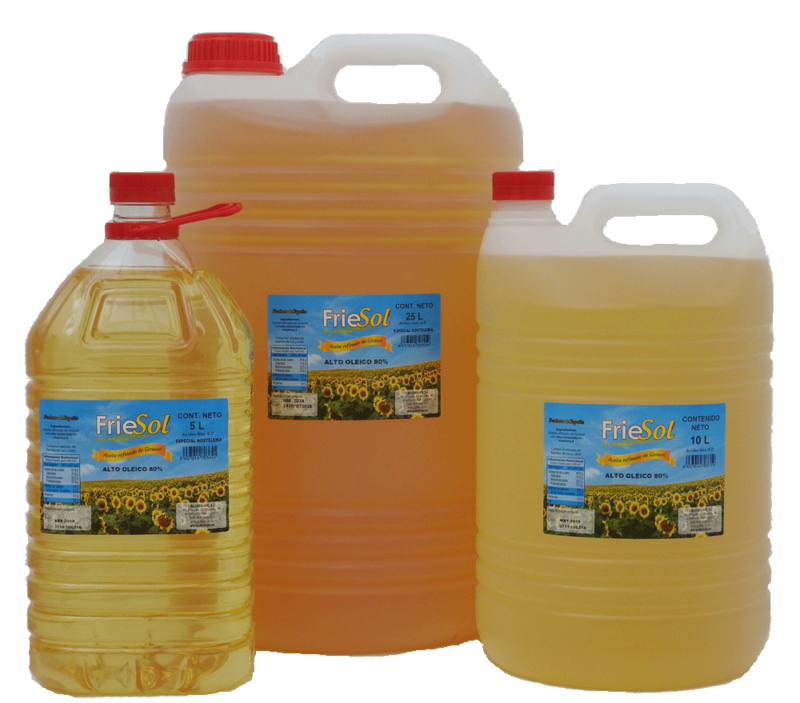 Our sunflower oil is 80% oleic acid and thanks to the added antifoam it is recommended for professionals who carry out continuous frying and at high temperatures, as it resists almost 200% more than classic sunflower oil. In addition to withstanding higher temperatures, the oil is less impregnated in food resulting in a healthier fry and high quality. All this makes it essential in the kitchens of the most demanding experts. Also oleic acid, being a monounsaturated fat, contributes to reduce the risk of cardiovascular diseases.